Interviewing some of the more "senior" members of the scene can pose some interesting obstacles - not the least of which is asking subjects to cast their minds back 30 or 40 years or more to recall particular details long forgotten. That any number of people can recall the same, single event completely differently to each other certainly makes researching for Steel City Sound a challenge. And yet, it is for this reason that Steel City Sound exists - lest our musical heritage be lost to the perils of dementia and time. With that in mind, researching Mutton should be a doddle, right? I mean, it's not like we're going back to a time when Menzies was PM and women weren't allowed into pubs. Hell, we're only going back as far as the Sydney Olympics. Mutton existed for the first half of this past decade, yet ask any of the members about this time and you're likely to be met with blank stares, like you've asked them to recall the details of their own birth. 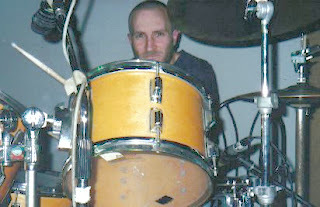 Whether this collective amnesia is the result of one too many ales, or a specific kind of post-traumatic stress (Mutton being the trauma) is unknown, but if it weren't for the two albums and one limited run EP released during the bands' lifetime, you could easily convince the members themselves that the band never actually existed. The band's official bio places the origins of Mutton at the scene of a botched bank robbery, a car break-in, and a hit-and-run. And though the bio includes a disclaimer to the effect that this particular version of history may not have actually happened, it does ably represent the band's comical nature. 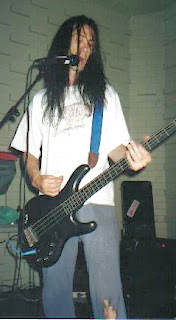 In reality Mutton can be traced back to 1998 when Dave Parr (aka Dave Mutton, bass), Stu Gates (drums), Bill Anderson, (guitar), Dave's brother Colin (guitar), and Dave's then-partner Stella Lucas (sister of Steve Lucas of X, vocals) started playing basic and brash three-chord punk under the name of Wotstinx. Whilst still playing for Wotstinx, Gates joined Psychotic Numbskulls along with Richard Moulton. Dave Parr soon followed with Bill closely behind. 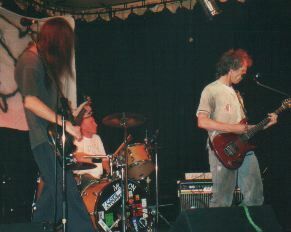 The Numbskulls slipped into a coma in 2000 and subsequently the trio of Parr, Gates and Bill reformed under the name of Mutton with Warwick Lee (aka Wokka) on vocals. Wokka lost interest quite soon, and the trio decided to go it alone, getting their first gig at a Ryan's Hotel open mic session where they were talent-spotted by members of FUgG who invited the band to play at the Oxford shortly after. Invariably described as 'obnoxious', 'loud' and 'sloppy', Mutton soon settled in as local stalwarts, playing numerous shows both locally and in Sydney alongside such local legends as The Unheard, Topnovil, Rockafella and Hytest (amongst countless others), as well getting slots at the now-defunct Kemblastock. Mutton recorded and released Self Titled in 2001, followed by The Funniest Blokes in the World in 2003. The band also released an extremely limited run of CDR's (20 copies to be precise) descriptively titled Special Limited Edition Live 4 Track EP with 2 Bonus Tracks! Despite their comical demeanour, Mutton suffered from the same volatility as many a band before them, and in 2004, following a falling out between Parr and Bill, called it a day. Both Gates and Parr are now integral members of The Nice Folk, and Parr also performs regularly under his pseudonym. Psychotic Numbskulls reformed in 2010. 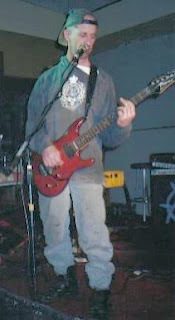 Mutton reformed in 2012 with Neil Mathews (Hytest, Stone Ox, Handlebar, VeeBees, Bulldoze All Bowlos) on guitar. Thanks to Dave Mutton and Stu Gates for at least trying to remember.